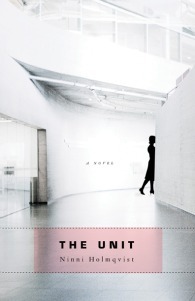 In The Unit, Holmqvist introduces us to a world in which "dispensables" - single women over the age of 50 and single men over the age of 60 without children and without jobs in progressive industries - are escorted out of their home and brought to The Second Reserve Bank Unit for biological material where they are subjected to pharmaceutical tests and forced to donate organs, first kidneys, skin and eventually a final donation. Because these dispensable citizens are no longer contributing to society in a conventional way, their organs are harvested and given to more productive members of society. Anyway: those who safeguard growth and democracy and welfare, they're not the ones who own my life. And life is capital. A capital that is to be fairly divided among the people in a way that promotes reproduction and growth, welfare and democracy. I am only a steward, taking care of my vital organs. Interesting premise; poor execution. Holmqvist didn't built her world in a believable way. Overall I felt it lacked depth; there wasn't enough for me to be invested in the characters or the premise and much of the novel felt contrived. I also had some issues with the believability of certain events near the end of the book. I'm normally a fan of dystopians, but compared to the works of Atwood and Orwell, Holmqvist didn't measure up. However, it wasn't a total flop. The book made me think about the way we treat our non-conventional citizens and it explores the power of female friendships and the human will to survive. 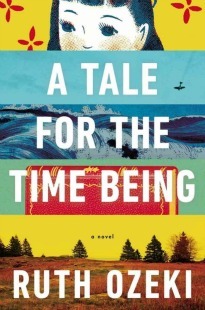 I'd say the novel is only semi-interesting and while it did provoke me to think outside of the box, these moments were so few and far between that overall it was disappointing. If you're looking to read a dystopian done right, I'd suggest you skip this one and try The Handmaid's Tale or Oryx and Crake and The Year of the Flood. This book's premise FUH-REAKS me out. I'm sort of glad now to have the excuse not to read it. Very honest review--I enjoyed it! This also sounds a bit like Never Let Me Go which I highly recommend if you haven't read it yet. It's too bad the execution isn't better, as the premise really is fascinating. Like Mel, I was also reminded of The Handmaid's Tale. Sorry to hear this one wasn't as good as you thought. I have this one on my TBR, but it will probably sit there a little longer. The idea sounds fascinating but a proper execution is crucial to success in dystopian fiction. Thanks for the honest review! Well, that's a shame you didn't enjoy the book. Its one of my favorites! I loved the disconnected feel of the book and found myself engaging with the characters quite a bit. However, as they say, different strokes, right? We can't love every book we read - oh well. I still need to read Oryx and Crake and The Year of the Flood - on my TBR list. And I love The Brooklyn Follies. I hope you are enjoying it.